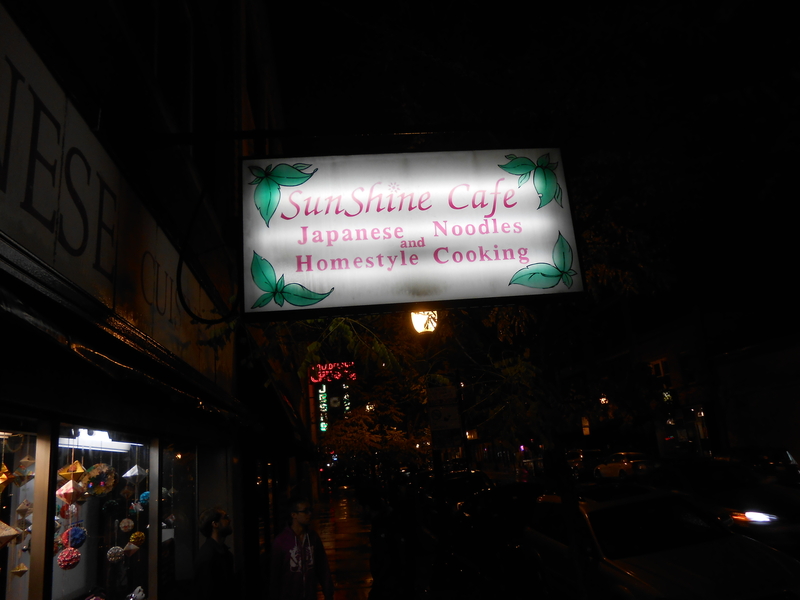 Sunshine cafe is a tiny Japanese restaurant in Andersonville at 5449 N Clark St. I went with a friend for dinner and we were given green tea and water. 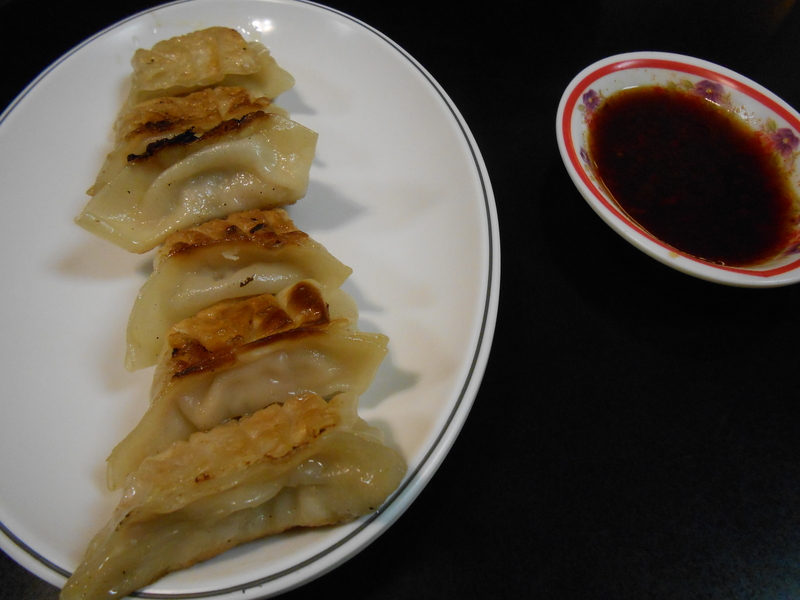 We split Gyoza, got 6 total that came with a dipping sauce that was too spicy. They were tiny but good. There were two different kinds of soy sauces on try table, a light sodium and regular. I used soy sauce in place of the spicy dipping sauce. After spending a long time staring at the menu I picked a teriyaki chicken rice bowl (Chicken Teri Don). It was wonderful. 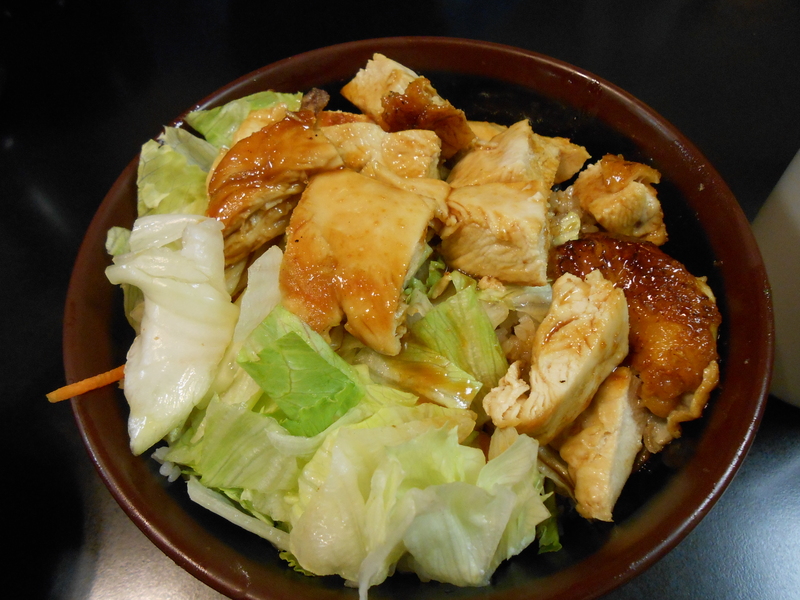 A bowl full of rice with something akin to a small salad on top and then the teriyaki chicken. 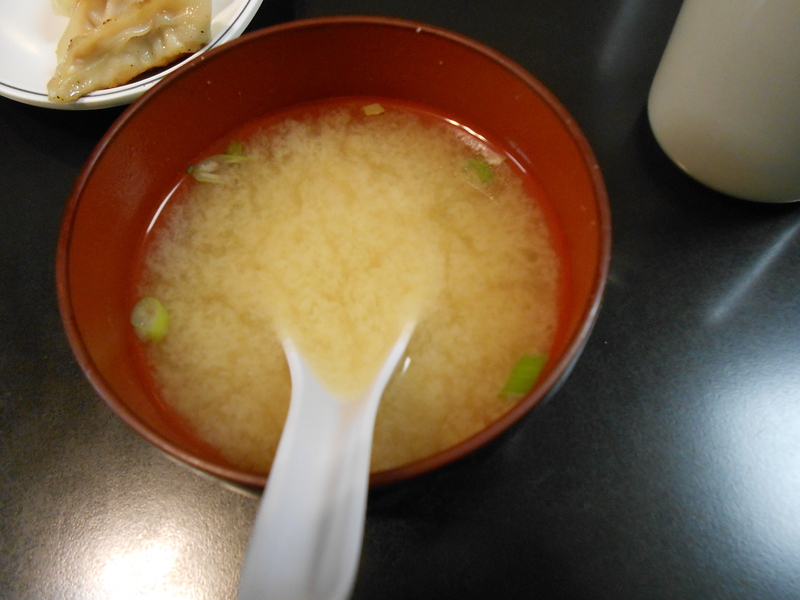 It came with Miso soup. 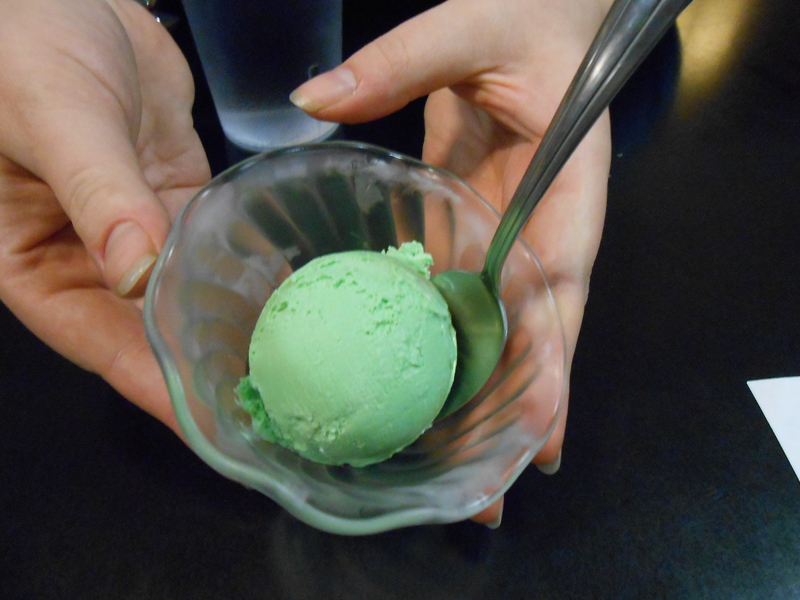 We ended the meal with green tea ice cream. 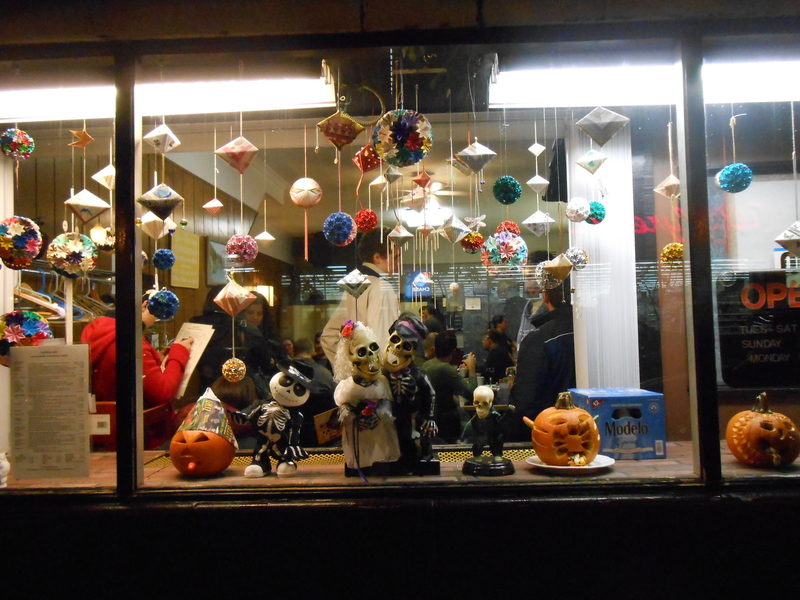 The food was good, not badly priced and we were able to eat a lot. Our servers were nice and helpful. We wanted to stay longer but there was about eight people at the door waiting for a free table. People brought alcohol with them, many tables had brought bottles of wine, and when we left people outside were waiting with cases of beer. The place was fun and I’d love to try more off their menu, it’s a wonderful place to catch up with a friend and seems to be a busy community spot for the neighborhood. There just isn’t a lot of seating.